We take great pride in our ongoing efforts to incorporate sustainability into our business and doing our part to reduce the overall impact of construction on the environment. From the use of water-sustaining plumbing fixtures, energy-conserving lighting, windows, heating/air systems, and appliances, establishing recycling stations at our jobsites, to the increase in "Green Building" designs that utilize renewable materials, we are committed to reduce, reuse, renew, and recycle. 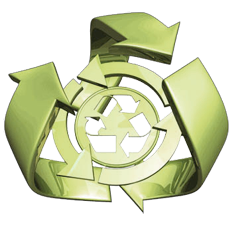 It is our goal to reduce waste and be proactive recyclers on all of our projects. We continually strive to utilize environmentally-friendly products, encourage reduce-renew-reuse & recycle efforts, and support local conservation and waste removal programs - all benefiting our community and environment. Stay tuned as NCY grows with the ever-changing landscape of green building in Dallas/ Fort Worth.